We are excited to officially announce our Privy integration for Octane AI -- the premier ecommerce Messenger platform now integrates with one of the most popular email collection and conversion platforms for Shopify. 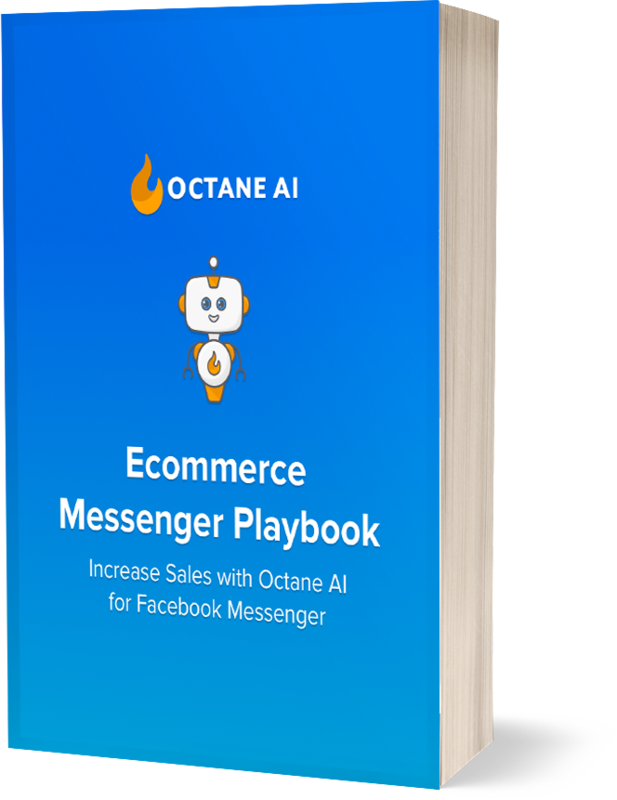 Increase your Facebook Messenger follows and retarget them with Octane AI’s Privy integration. With Octane AI + Privy, a "Send to Messenger" checkbox is added to your pop-up forms. You can capture more email and Facebook Messenger opt-ins simultaneously, reduce cart abandonment and grow sales with Octane AI + Privy. "Building relationships is the foundation of direct to consumer marketing. Though email is the backbone of direct response, Messenger has risen quickly as a highly engaged channel for customer communication. If we know triggered messages like abandoned cart emails work so well, why wouldn't we let the consumer choose where they'd prefer to receive these messages, email or Messenger. That's what the Privy and Octane AI integration is all about. Weave messenger opt-ins into the targeted on-site popops and displays you're designing from Privy." Our customers repeatedly tell us that integrations between their Shopify apps saves them time, improves their efficiency, and helps them make more money. We worked closely with the Privy team to make this integration possible and easy to implement for Shopify merchants. Add the code and the Send to Messenger checkbox will be enabled on your pop-ups! How will the pop-up look? 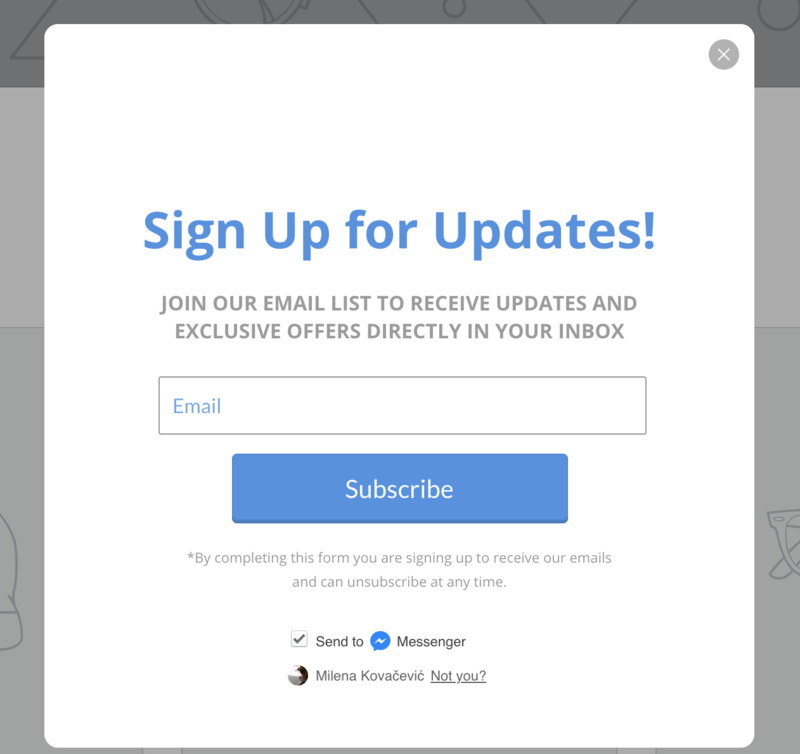 When users visit your site, they will see your pop-up with the "Send to Messenger" checkbox displayed below the main CTA. Below is a screenshot of a sample pop-up. We would love if you give Privy for Octane AI a try. Check out the full guide or send us an email with your questions. About Privy: Privy is the #1 rated marketing integration in the Shopify App Store, supporting over 300,000 businesses in 180 countries who have chosen the platform to improve their on-site conversion and grow their customer lists with highly targeted displays and automated emails that help them start, grow, and expand their online businesses.